Samsung Galaxy S5 Android Lollipop update is a major update for our less-than-one-year-old phone. Some new features and improvements may be not so obvious. Also, there are also some confusions among Galaxy S5 owners on how and when to get the Android Lollipop update for Galaxy S5. This guide will try to make your Android Lollipop journey smoother. When can I get Samsung Galaxy S5 Android Lollipop Update? 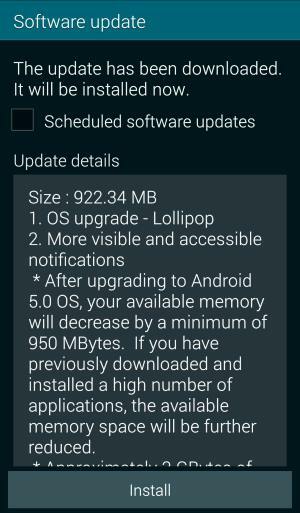 Galaxy S5 Android Lollipop update was first rolled out in Poland last December. Now, the update is available to about half of the Galaxy S5 owners. In other words, you may be the other 50% owners. By the end of March (just 3 weeks away), the availability of the update will increase to about 70-90% of Galaxy S5 owners. The availability of such a major update is not fully controlled by Samsung. The carrier need time to test the firmware. Samsung is allowed to release the update for specific models only after approval from carriers is received. So, if you haven’t received the update, it could be delayed due to the testing by the carrier or distributor. Samsung is not the only one to blame. You can check the availability of the update in Settings—About phone—Software updates. It is not necessary to check it everyday manually. You can let Galaxy S5 check the updates automatically. Please try not to flash the ROM for other regions. It may void your warranty and may render your phone useless. How to update my Galaxy S5 to Android Lollipop? There are two official ways to apply the Galaxy S5 Android Lollipop Update. The simple way is through OTA (over-the-air) if you have a WiFi connection. Just go to Settings—About phone—Software updates–Update now. Then follow the on-screen instructions. This method may not work in a few regions. Also a few carrier specific models may require an active SIM card inside the phone. The second way to update Galaxy S5 to Android Lollipop is through Samsung Kies 3 on the PC. Please note, Galaxy S5 requires Kies 3, not Kies 2. You need download and install the correct version of Kies. Once Galaxy S5 is connected to PC, you can start the Kies 3 software on PC. Kies 3 will then automatically check the new firmware. You can then follow the on-screen instructions to finish the update. What are the requirements for Samsung Galaxy S5 Android Lollipop Update? If your Galaxy S5 is encrypted, you need decrypt the storage first. Your Galaxy S5 has at least 3 GB available internal storage (not SD card) for the updating process. You need download the firmware, whose size is about 1 GB. Try to use WiFi if possible. After Galaxy S5 Android Lollipop update, the available storage will shrink about 1 GB. Battery life is important for all smartphones. This guide shows you how to maintain your Galaxy S5 battery so that you can maximize the Galaxy S5 battery life and keep galaxy S5 battery in perfect condition. Galaxy S5 battery life actually is amazingly good. Most tests and benchmarks indicated Galaxy S5 battery life actually is really in the top tier among the flagship smartphones. For example, PhoneArena reported a far better battery life of Galaxy S5 than other flagship smartphones: HTC One (M8), LG G2, Nexus 5. In our daily normal usage, most Galaxy S5 owners can get 4+ hour screen time. So, the Galaxy S5 battery life is sufficient for all-day usage for most S5 owners. Samsung in recent years apparently invested a lot on technologies of saving battery on Android phones. In addition to normal battery saving options, you may also turn on ultra power saving mode when you are not able to connect to a charger for a prolonged period. 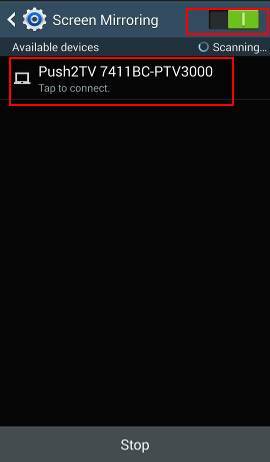 Why I have Galaxy S5 battery life problems? However, some Galaxy S5 owners reported battery drain problems on Galaxy S5. Some poorly written apps are running in the background and refuse to sleep. You can go to Settings–Battery to find out such apps easily. Some system processes are in weird state. Normally, the system processes can manage themselves properly. But in certain situations, a few may fail to do so. If you find most of the battery is consumed by Android System, it means it is time to reboot the phone. Mobile network signal is poor. WiFi is always on. You may check Settings–WiFi–Menu key (3 vertical dots, or hardware menu button)–Advanced -Keep WiFi on during sleep. You probably should set it to never (and turn off mobile data as well) or only when plugged in. Frequent use of hotspot (sharing mobile data connection with other devices) or WiFi Direct. These two are battery killers. Your Galaxy S5 is running some third-party task manager or battery juice defender or similar apps. Most of these apps will only do the opposite: they will cause Galaxy S5 battery life problem, instead of solving the battery life problem. Your Galaxy S5 is running some anti-virus apps. Such apps are not necessary if you get apps only from reliable sources, e.g. Google Play store or Amazon appstore for Android. You didn’t maintain and charge your Galaxy S5 battery properly. How to save Galaxy S5 battery? Why and when you need Galaxy S5 screen mirroring? Galaxy S5 has a gorgeous display. But it is only 5.2″. You may wonder whether you can enjoy the contents on the big screen (TV). For example, you may want to show your guests some family photos/videos in your Galaxy S5. Or you may want to enjoy the Netflix videos on the 60″ TV and home theater systems. And even better, you actually have at least two totally different ways to use Galaxy S5 screen mirroring: through Miracast or through Chromecast. If you want to know the difference between Chromecast and Miracast, please read this post because this post is focusing only on how to use Galaxy S5 screen mirroring. you own a Samsung Wi-Fi All-Share Cast Hub. Local WiFi (wireless) network actually is not required for Galaxy S5 screen mirroring with this method, although you must enable WiFi on your Galaxy S5. In other words, you can access contents through your mobile data and Galaxy S5 screen mirroring will work nicely with such contents. 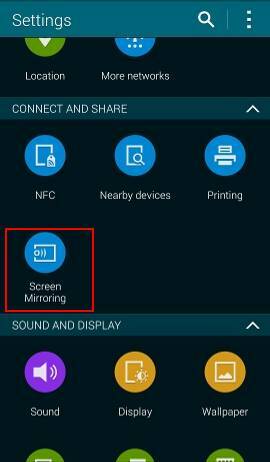 To use Galaxy S5 screen mirroring through Miracast, please follow these steps. Step 1: Turn on TV and/or insert the dongle to the TV. You may need switch the TV source to the HDMI port used by the Miracast dongle. Step 2: Enable WiFi on Galaxy S5. Miracast does NOT require internet connection (different from Chromecast), and even a wireless router is NOT required. But you must enable WiFi on Galaxy S5 so that Galaxy S5 can connect to the TV or Miracast dongle directly. 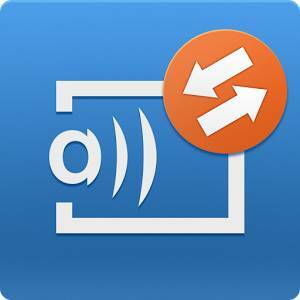 TV or Miracast dongle will create a network for your Galaxy S5. This network will NOT affect your current WiFi connection if your Galaxy S5 is connecting to your wireless router. Go to Settings–screen mirroring. Drag it to the tight to enable it. When you enable the Galaxy S5 screen mirroring, your Galaxy S5 will search for Miracast device nearby automatically. So, it is important to turn on the Miracast/TV before enabling the screen mirroring on Galaxy S5. 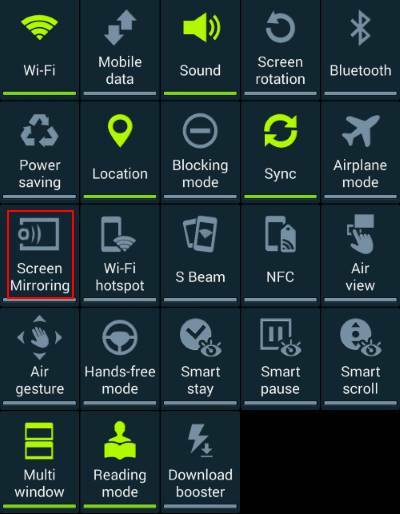 Another quicker way to enable Galaxy S5 screen mirroring through Miracast is from the quick settings panel. You can swipe down from the status bar (top of teh screen) with two fingers. You can tap screen mirroring to enable it quickly. If it is enabled, you can tap to stop it quickly. The available Miracast-enabled devices will be listed. You can tap on one of them to connect your Galaxy S5 to it. Samsung finally announce the Galaxy S5, a successor of Galaxy S4, during the Unpacked 5 event during MWC 2014 in Barcelona last week. So, all Galaxy S5 rumors settled down. Samsung Galaxy S5 did not bring much surprise to us. It is an incremental update for the almost-one-year-old Galaxy S4. Apparently, Samsung learnt from the failures of Galaxy S4. Galaxy S5 is their attempt to go back to basics. Galaxy S5 does not pack so many fancy features, but just a few very practical features. Of course, apparently, all features are tested well, not half-baked as in Galaxy S4. CPU: Snapdragon 801 Quadcore at 2.5GHz; Exynos variants in some regions for 3G models. Samsung always puts the latest hardware in Galaxy S flagship phones. Galaxy S5 is not an exception. The Galaxy S5 specifications clearly state this is 2014 smartphone. Galaxy S5 is the first smartphone that comes with Snapdragon 801,which is a performance upgrade to Snapdragon 800. The 2.5GHz quadc0re processor should provide sufficient (actually more than sufficient) processing power for Galaxy S5. The upgraded Adreno 330 GPU can achieve 578MHz. This makes it possible for Galaxy S5 to get higher quality imaging, utilize faster camera sensors and improve photo post-processing. The 5.1″ full HD AMOLED display is one of the best screens you can get for a smartphone. Even for AMOLED haters, it is hard to deny AMOLED is very comfortable to watch on a smartphone screen. Galaxy S5 will come with Android 4.4.2 (KitKat), the latest version of Android. This is not a surprise to anyone. Fingerprint scanner in Galaxy S5 is not a surprise after iPhone got it last year. But what surprised us is that this feature is actually polished so well that it is far better than that in iPhone, LG G2 and HTC One Max. It is not half-baked (as features in Galaxy S4). The promised integration with PayPal makes this feature extremely useful. It seems Samsung finally understands the specification sheet does not need to be long. 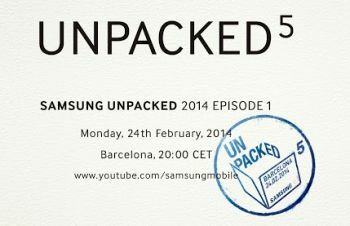 Following the teaser of the galaxy S5 launch date, Samsung now teases us with a new picture related to the unpacked event. This time, one prominent element in the teaser is the round shape of app icons. Of course, this does not just mean shape changes in icons of apps: from square to round. It probably hints some radical changes in TouchWiz, which is widely criticized as a Gingerbread-age Android UI. Actually, there are no major changes in TouchWiz in last 3-4 years. In January, when Samsung revealed the giant tablets (Galaxy Note Pro and Galaxy Tab Pro) , we noticed the new user interface for TouchWiz. But the controversial Magazine style UI is obviously not suitable for a 5″ device. The old-fashioned, bloated and bloodily-slow TouchWiz really needs a revamp. This is a Galaxy S5 event. This is unarguable. No Tizen devices yet. This is not a Galaxy S5 rumor. Very likely, Samsung will launch more than one Galaxy S5. A few variants of Galxy S5 will be revealed as well. Some rumors suggest there are premium and standard versions at least. Maybe there will be 3 variants of Galaxy S5 to be launched. A new UI with refreshed TouchWiz. But how new? At least it is more than a simple icon shape change. My guess is a more or less an evolutionary revision. Don’t expect too much. Don’t expect so many fancy (and useless) new features as in Galaxy S4. Samsung started to correct the errors in Galxy S4 when launching Galaxy Note 3. Instead of introducing so many useless or half-baked features, Samsung now is trying to polish existing Samsung-specific features and introduce a few new and impressive features. What actually are the changes in Galaxy S5 UI? We will only know them on February 24. Anyway, the Galaxy S5 launch will determine the destiny of Samsung in mobile market. 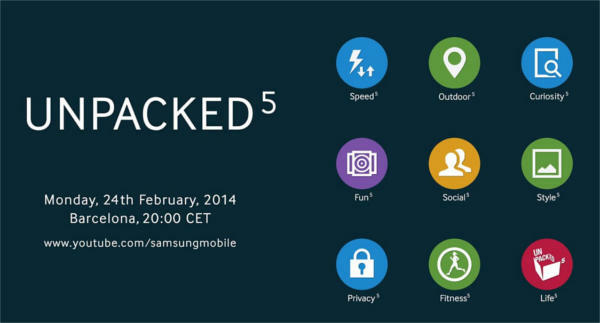 Samsung just announced that they will host an “Unpacked 5” event at Mobile World Congress on 24th February. Surely, this is an event for Samsung Galaxy S5. Galaxy S5 launch date will be February 24, 2014. This is not another Galaxy S5 rumor. Now Samsung reveals the Galaxy S5 launch date. The next question is when the handset will be available. If we check the release history of Samsung Galaxy S, S2, S3 and S4, it is not difficult to estimate Galaxy S5 will be released in late March to early April (4-6 weeks after the Galaxy S5 launch date). Due to the lackluster sales of Galaxy S4, it is understandable that Samsung desperately wants to release Galaxy S5 as early as possible. Naturally, this Galaxy S5 launch date is a bit earlier than that of Galaxy S4. Although Samsung is the No.1 Android phone manufacturer, and they can easily maintain this position in next one or two years, the margin for error becomes less and less thanks for the competition from Apple, LG, Motorola (now owned by Lenovo, which has very deep marking pocket), HTC, Sony, and maybe even Nokia. Samsung climbed to the top position through Galaxy S2 and S3. Galaxy S4 is more or less a failure. Galaxy S4 packed so many half-baked features. Some users try to disable some of them once they get the handset. Galaxy Note 3 made some corrections on this. The Galaxy Note Pro and Galaxy Tab Pro introduced a new Magazine UI. As both of them will be available after February 13, we have no chance to test it for real usage. So, Galaxy S5 very likely continue the correction by releasing a few prominent, not just bling-bling, features. The UI will very likely follow Galaxy note 3, not Galaxy Note Pro. The Galaxy S5 launch date is critical for Samsung. After this launching event, we will have a clear picture whether Samsung starts to go downwards or upwards. So, book your calendar for February 24, Galaxy S5 launch date. As usual, the event will be live-streamed through YouTube. Samsung Galaxy S5 probably will be one of the most exciting, or the most disappointed, smartphones in 2014. We will know it once it is released. But for now, let the rumor mills run. I will share with you some Galaxy S5 rumors. Please read it as entertainment, not a technical report. Anyway, you should already know this post is about Galaxy S5 rumors, not technical review of galaxy S5. Just to confirm. What is the Galaxy S5 release date? When will the release date be announced? Just for laypersons. Release date means you can buy the product on that day. The product usually is announced or launched (it is usually demoed as well in the event) before the release date. For Samsung, most flagship smartphones and tables are released once month after they are announced. Just for comparison, Samsung’s best buddy, Apple, usually release new products one week after the announcement. This one month, or one week, usually is calculated by some marketing genesis. If it is too long, people already forget the announcement. If it is too short, the message or the goodies, has not been spread like virus. Apple fanboies are generally loyal to their lord and spread the message very fast, so Apple usually chooses one to two weeks between release date and the launching date. Samsung does not have such loyal fans, so their marketing guys need time to spam the world for the announcement. This surely take longer. Come back to the Galaxy S5 rumor, Samsung very likely release Galaxy S5 in Q1 2014, slightly earlier than the release date of Galaxy S4 in 2013. Samsung executives may want to release Galaxy S5 early, but product development cycle may stop it. The sales of Galaxy S4 is not as good as expected. But don’t get it wrong. Samsung still plans to sell over 100 million Galaxy S4. In some regions, Galaxy S4 was just released. If Galaxy S4 has not released in your region (yes, there are still a few such regions! ), just wait for Galaxy S5 because S4 will never be released there. Samsung will surely have a big and exclusive event for Galaxy S5. So do not expect that Galaxy S5 will be announced during the major events in January to March 2014 , e.g., MWC2014. Such events are for small players. Have Apple announced any products in such vents in last 7 years? Samsung now thinks themselves as an Android apple. So, when? Probably even Samsung’s top earners do not know the exact date yet. 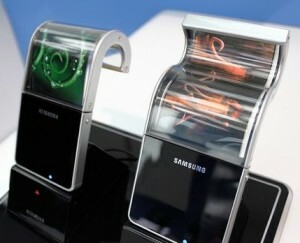 Samsung enjoys the rumor. Rumor may help them decide when to stop the Galaxy S5 rumors. Will Galaxy S5 be plastic or metal? Definitely not wood (as Moto X)! There is no secret that Samsung loves plastics. They are expert of plastics. They can make plastics like leather (in Galaxy Note 3). This is a place-holder for Samsung Galaxy S5 manual. We will add the official Galaxy S5 user manual in this page when they are available. 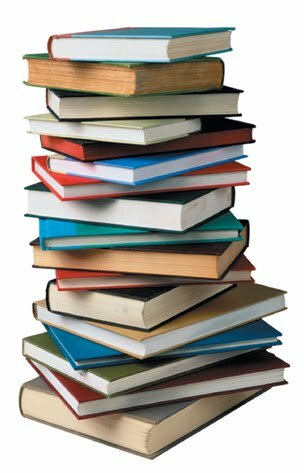 You can download the PDF version of the manual in your own language and read it later, or read the manual online with the embedded PDF viewer. A link to the online HTML version of Gaalxy S5 manual will be provided once it is ready. Please check this official Samsung Galaxy S5 user manual page in all languages. Galaxy S5 Guide is live now! Samsung Galaxy S5 will arrive very soon. GalaxyS5Guide.com is a platform for all discussions on this smartphone. If you have any questions on Galaxy S5, you may ask here. We will try to answer. The community will answer. The community is for you. If you need the Galaxy S5 manual, you can find it in the user manual section. Even better, we will collect the manual in your own languages because Galaxy S5 will be slight different in different regions. 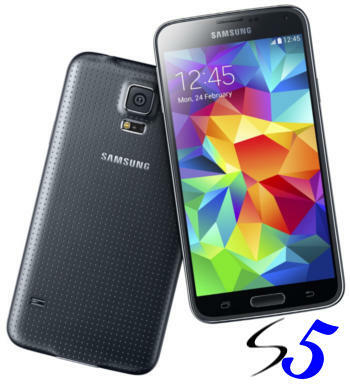 If you cannot decide whether S5 is suitable for you, you may check the S5 buyer guide section (coming soon..). You can find the comparison of Galaxy S5 with other flagship Android phones. Of course, you will find teh Galaxy S5 accessories guide section. The common accessories and coolest gadgets for Galaxy S5 will be covered. As the best guide site for Galaxy S5 owners, most importantly, you will surely find the best quality guides, tips and tricks, for your Galaxy S5. Galaxy S5 Forum is up now! Discuss your thoughts on Galaxy S5 in the forum! Want to get the Galaxy S5 update earlier than others? Sign up for our Galaxy S5 Guide newsletter NOW! It is free.